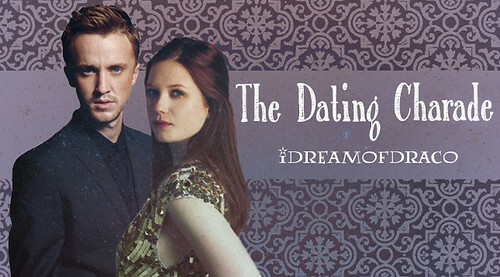 After a one-night stand gone awry, Draco attempts to win Ginny back with the help of Theodore and Hermione... but Ginny has her own plans. Written for aislyn813 in the 2013-2014 D/G Fic Exchange on LiveJournal and winner of the Funniest Fic Overall award. Uses Temporarily relieves symptoms due to DG withdrawal. Warnings Ask a doctor before use if you have Delusions of Dramione. When using this product: Excitability may occur, especially in DG fans. May cause heartburn. Be careful when operating a motor vehicle or heavy machinery. 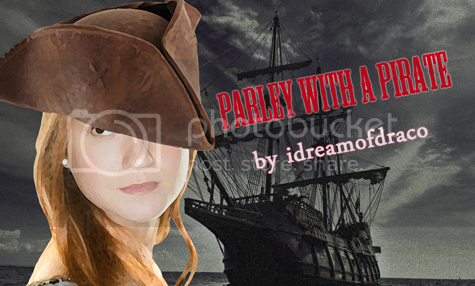 Captured by pirates, Draco tries to talk his way to freedom, but the wicked Captain Ginny Weasley sees right through his landlubbin' tricks. Written for the FIA 2014 Summer Challenge. Prelude: a. a relatively short, independent instrumental composition. b. a piece that precedes a more important movement. Ginny instructs Draco in the subtle magic of piano playing. One-shot. 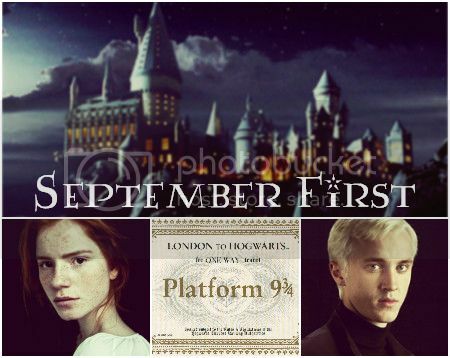 The scarlet steam engine is pulling out of the station, and Draco and Ginny must come to terms with their past before a new year at Hogwarts begins. She hates the snow. One-Shot. Ginny contemplates life as one window of opportunity closes. One-shot. The new flying instructor has become a bit too chummy with the rest of the Hogwarts staff. Draco takes it upon himself to find out why. Written for Charlie in the DG Forum's 2016 Secret Santa Fic Exchange. One-shot. 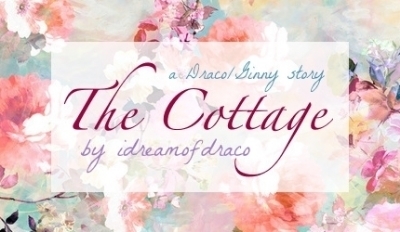 On top of the tallest hill of an endless field of flowers, Draco receives a second chance and a taste of freedom. Written for elle_blessing in the 2010 Draco/Ginny Fic Exchange on LiveJournal, and winner of Best Story Overall. REVISED ENDING AS OF 2/20/2018. When a case of workplace sexual harassment leaves Ginny in a truly desperate state, the natural thing to do is to convince Draco Malfoy to pretend to be her boyfriend. Naturally. Written for SunnyStorms in The DG Forum's 2015 Winter Fic Exchange. When Draco opens Malfoy Manor to the public as a haunted house attraction, Ginny must find out what the notorious recluse is up to. Written for the "This is Halloween, This is Halloween, La la la!" Challenge on The DG Forum. Complete as a one-shot. Please read the story/chapter notes about warnings. Some wars never end. A dive into the past reveals how theirs began. Winner Best Kiss, Best Interpretation of Prompt, and Mod's Choice in the 2009 D/G Fic Exchange on LJ. Written for fallingskyes. Ginny hoped she would never see another singing valentine again, but, alas, the diaper-wearing, bewinged dwarves are back at Hogwarts, and Cupid's arrow is aimed right at her. One-shot. When Ginny hears a nasty rumor, she confronts the slanderer himself. One-shot. Sometimes, even the most popular stories need help being told. Set one century after the end of the war. One-shot. 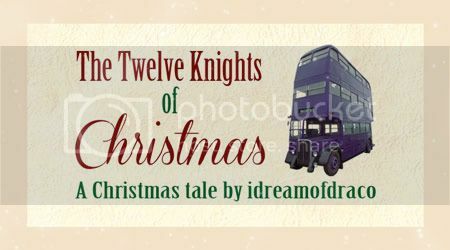 Ginny's part-time job takes an unexpected turn when she runs Draco over with the Knight Bus. The next twelve days are a lesson in Christmas spirit. Complete as a one-shot. Ginny decides to spend the summer at the coast to finish writing her book, but she hits some writer's block after she meets her unexpected neighbor. 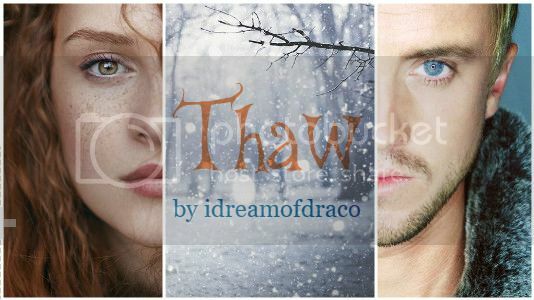 Written for Rowan-Greenleaf in the DG Forum's Fall 2011 Fic Exchange. Winner of the Most In Need Of A Sequel award. He hadn't felt warm in years, but he could still remember what it had felt like to burn. Written for writerdragonfly in the DG Forum's Summer 2013 Fic Exchange. Winner of the Best Prose award.